I’ve always had quite a flirtatious relationship with Kiehl’s by flirtatious I mean, I’ll go and lust after it in Space NK, appreciate its clinical packaging and bursting with goodness formulas, but scurry away quickly when I remember that I am student, on a student's budget. 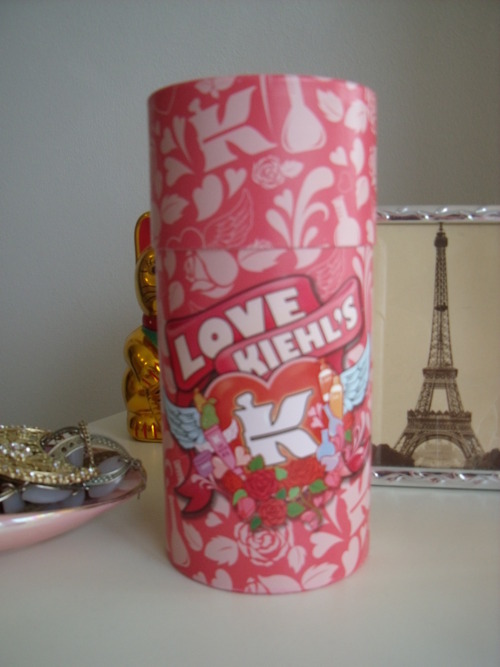 The Love Me All Over set, in my opinion is the perfect introduction for beginners to the Kiehl’s product range, having only ever tried their lip-balms and face wash I wouldn’t have known where to begin investing in the brand. I was really impressed with the contents as I felt it gave me a real taste for the product range, and as some of the items are quite pricey to buy at full size, it’s always nice to try them out beforehand. Creme de CorpsThis all over body moisturiser talks a good game, the super enriched formula with Beta-Carotene to soothe very dry skin, and a gentle fragrance free formula, really is a cult classic in the beauty world. How do I use it? Basically its just like any other moisturiser, use daily all over and allow time to soak into the skin. Does it work? YES! I have never known a moisturiser to have such a visible effect on my skin, after a week or so of using this my skin looked healthier and smoother and felt super soft, this is a dream to use and something I will most definitely be re-purchasing. Lip-Balm #1This handy tube claims to soothe and repair dry chapped lips. How do I use it? Just apply the balm sparingly whenever you feel discomfort or tightness to the lips, it also works well under/over lipsticks. Does it work? This is a lovely lip balm that I’d actually purchased a few times before, as it’s definitely worth the money. A little goes a long way and it really does bring comfort to the driest of lips. Ultra Facial CreamInspired by the Ultra Facial Moisturiser this light weight cream is designed to give you a 24 hour moisture surge, making it perfect for frequent flyers. Packed full of lovely ingredients this simple everyday cream is perfect for all skin types. How do I use it? Simply just massage into the skin daily in small circular movements working upwards from the neck. Does it work? Due to my oily skin I am always fearful of the word ‘cream’ as it conjures images of thick stodgy pore clogging madness. However, this cream is literally a dream! Super lightweight and super hydrating, this has actually calmed my oily skin down, and makes the perfect base for make-up. Come pay-day I am definitely treating myself to this as it’s the only moisturiser I have ever used that’s made such a visible difference to my complexion. Midnight Recovery ConcentrateThis little potion has been specially developed to help skin regenerate and repair itself whilst you sleep. The highly concentrated blend of botanicals and essential oils ensure you awake with healthy radiant skin. How do I use it? You are directed to simply pat 2-3 drops of this over the face at the end of your night time skin routine. I’ve found this really easy and relaxing to do. Does it work? Luckily, I’m still only 21 so I cant make too much of a comment on how this works with lines, but my skin did look more radiant and even after using this for a few nights, my skin felt soft and full. This is definitely something I will be buying when I am a little older as I feel right now just my night cream is enough. 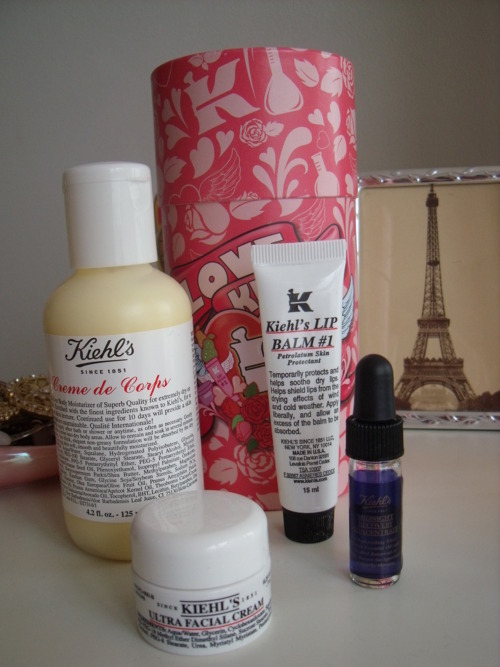 My little dabble into Kiehl’s has definitely sparked what can only be described now as an obsession, an obsession leading to a very long and unrealistic shopping list…we’ll just have to wait and see how generous I’m feeling on pay-day!